Mobile apps can be expensive to initially design and develop, but many app owners forget to consider the ongoing maintenance costs of mobile applications. These costs vary from app to app and can play a meaningful role in your app’s overall profitability. For that reason, you would be wise to carefully consider them before getting started. These mobile app maintenance costs often include hosting, monitoring, continued engagement, marketing, app updates, and customer support. This article will provide an overview of each expense and provide some idea about the level of effort involved with each. Many mobile apps require a server which hosts the app’s API, database, and assets (such as images and videos). Most app developers choose to host these items in a cloud-based environment, such as Amazon Web Services (AWS) or Rackspace. App owners will pay monthly for these services based on the resources used. If your app supports video streaming or large file transfers to and from your sever, this could be a large expense. Additionally, as your user base grows, so too can this cost. Fortunately, this is a cost that your developer or development agency should be able to estimate with reasonable confidence before your project starts. 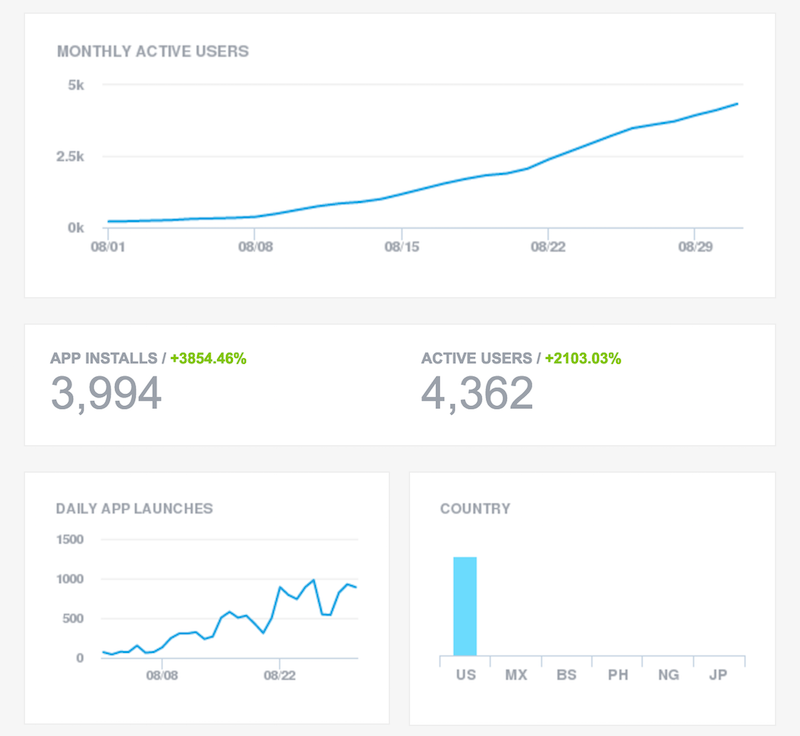 Most apps should have analytical monitoring that reports on what users are doing within your app. There are numerous free platforms that provide this service (such as Flurry Analytics, Facebook Analytics, or Google Analytics), but you will still need to invest time or money in monitoring these reports. This data is invaluable, so use it to inform future decisions. Additionally, apps should have crash/error reporting and performance monitoring. There are also plenty of platforms that do this for free, but fixing and improving issues could incur additional costs. You might want to have someone on-call to respond to these alerts, particularly after app updates. Apps thrive when they have continuous engagement. Frequent app usage increases the likelihood of adding new customers and maintaining existing ones. Well-designed apps have methods of driving ongoing engagement. Some of this can be scripted into your app, so that it does not require continued work, but having dynamic content created by a real person engaging on your app can be hugely beneficial. This can take the form of fresh content, push notifications, emails, or special events. By ensuring there is always something new happening in your app, you give your customers a meaningful reason to return again and again. The cost of this effort can vary depending on the type of engagement. It might require some work from your developers or could be something your content creators can handle on their own. It is quite shocking how many app owners never fully consider the amount of marketing that is usually needed for a mobile app to succeed. Thousands of apps are released each day. It is naive to think that just because your app is wonderful, it will flourish. Unless you have an existing customer base or your app is for internal company use, you will need a marketing plan. The cost of marketing can vary tremendously, but this is often the largest ongoing expense for mobile apps. Marketing costs can include content creation (videos, animations, photography, and/or blogs) and ad buys (app store listings, search ads, TV, and/or radio). You will likely need an experienced marketing team to guide you through this process. 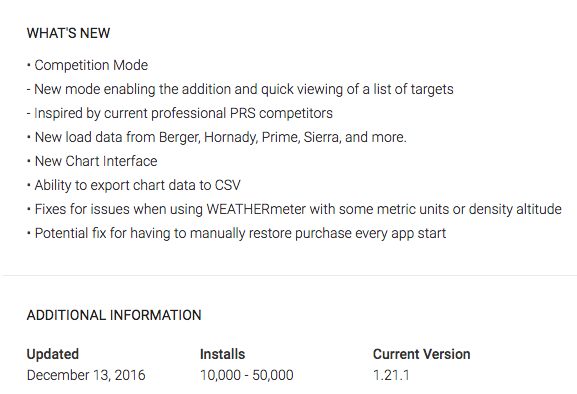 Look at any app in the app store and you will find a list of app updates. These updates will include new features, changes, and bug fixes. No app is perfect in version 1, but thankfully the app stores provide a reliable method of publishing updates. Deploying updates typically takes an hour or so, but the majority of the cost of updating an is additional development time. This cost will be determined by how large the new features are or how involved the bug fixes might be. Some apps will be built with or entirely through licensed technologies. Many such apps will have annual fees or optional annual update fees. Make sure you understand how your app is being built and what the licensing arrangement looks like. You don’t want to be shocked by an unexpected bill and want to make sure you consider ongoing fees when deciding between various development options. Well run apps have well run app store listings. Our most successful clients do a fantastic job of quickly responding to user reviews. Thanking users for good reviews and answering questions can make already loyal and happy users feel appreciated. This can lead them to share your app with their friends. Responding to unhappy customers can actually convert bad reviews to good ones at a shockingly high rate. 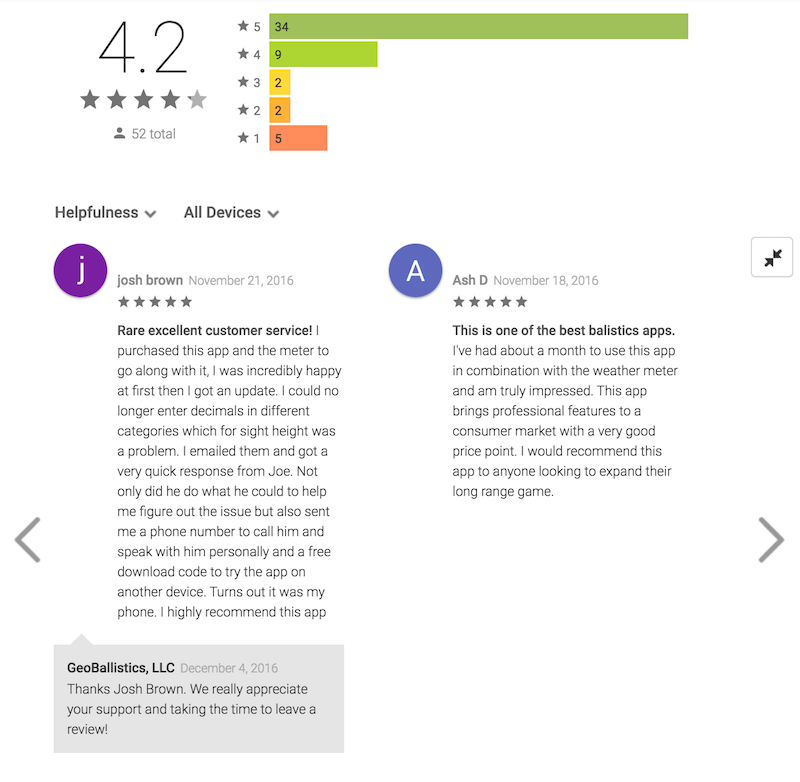 Customers appreciate when app owners go out of their way to solve issues and respond to feedback. This “maintenance cost” is typically not high, but is something that is definitely worth spending time on as your app grows. Mobile app development does not end when your MVP is deployed to the app stores. Understanding and considering ongoing mobile app maintenance costs is essential in properly planning for your mobile app. With this understanding, wise app owners can more accurately plan for the initial and ongoing costs of their project. It would be a terrible mistake to spend all of your resources in the initial app development and not properly invest in the mobile app maintenance phases. If you are an app owner who needs help understanding and planning for your mobile app maintenance costs, please feel free to reach out. We welcome apps at any phase and would be happy to answer any questions you might have.